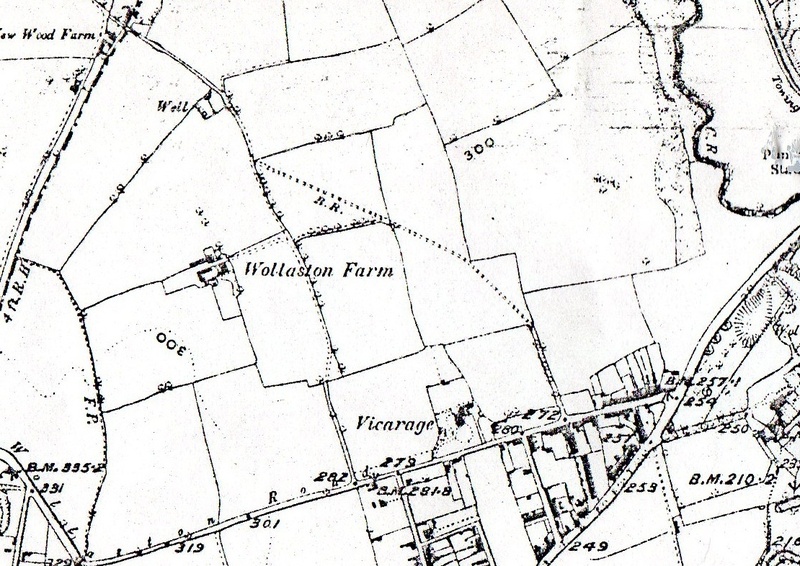 Wollaston Farm was the largest farm in Wollaston being about 150 acres, and was still being farmed until the early 1950s. In 1888 the tenant farmer was Edward Parsons and the owner of the land was William Orme Foster who had inherited it from his uncle, James Foster. A small area had been taken out of the farmland to build the Vicarage when, in 1860, the church was built at W.O. Foster’s expense. The bridle road is shown crossing the fields from Vicarage Road and the road to the farmhouse is roughly where Somerset Drive is today. 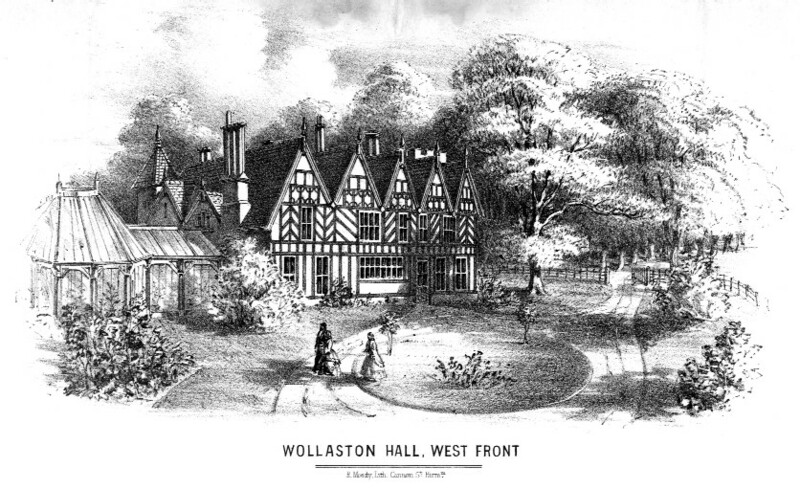 When Wollaston Farm Estate was built the area around the farm house was used for Meadow Park Infants’ School and the farmhouse remained for a while as the house for the school’s caretaker. One of the farm buildings remained and until the infant and junior schools combined in 1984 the barn was used for storage by the infant school. The development of the new St James’s Primary School incorporated the outline of the barn into the new buildings when it was converted into the school library.